Music Linc is proud to be the home for Xtreme League Trivia in Nebraska! A "live" trivia show hosted by a professional entertainer who is part game show host and part referee, in charge of turning an otherwise routine night into a fun, exciting and fast paced trivia competition! Xtreme League Trivia is a team activity. Anyone can form a team and compete in a variety of pop culture trivia categories - music, movies, television, sports, political and more! Competing teams are awarded points for correct answers and the team with the most points at the end of the competition wins a prize! More information coming soon! 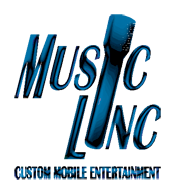 Copyright © 1997-2011 Music Linc, LLC. All rights reserved.